In collaboration with the renowned EHAPA Publishing Company ZSUWD has developed the concept, design and code for EHAPA-Shop banner ads. 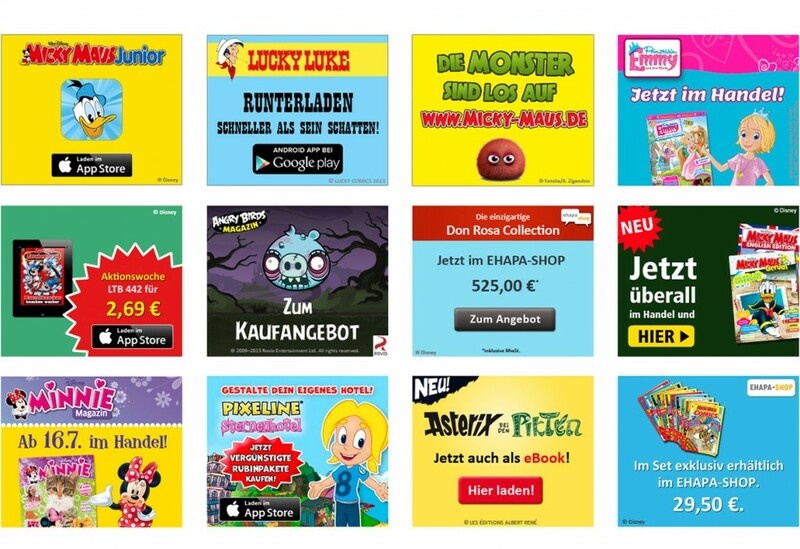 The banners advertise the comic classics Lustige Taschenbücher featuring Donald Duck, Uncle Scrooge and Micky Mouse, Asterix, Lucky Luke, as well as the popular Angry Birds or also the LTB-app. 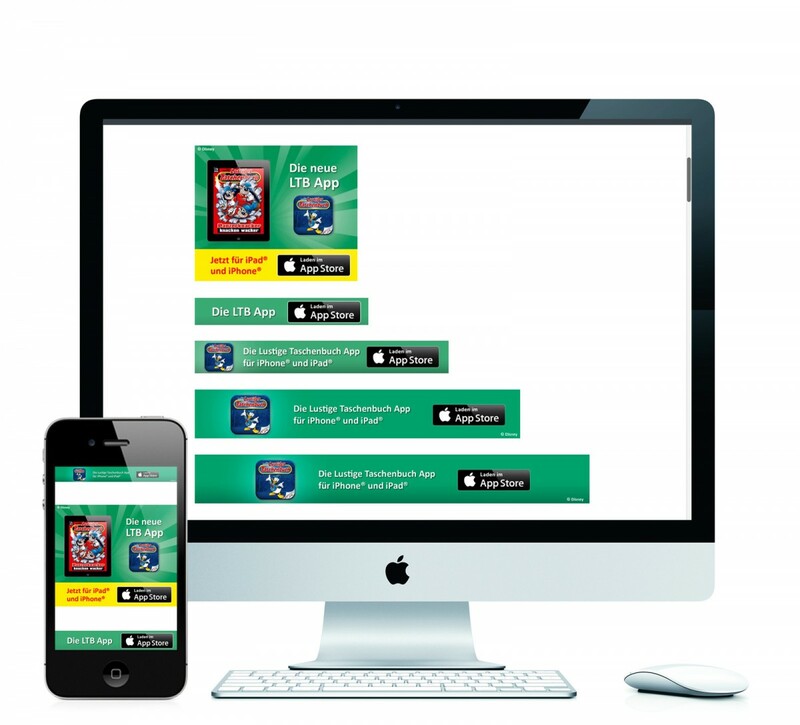 The banners tell short, simple and easy to understand smoothly animated stories ending with a prominent call-to-action button linking to the product in the EHAPA-Shop. Additionally landing pages and Google Admob campaigns have been launched for featured products.